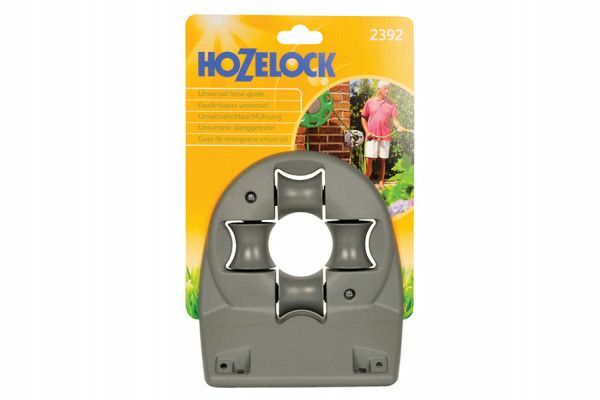 The Hozelock Hose Reel Guide and Corner Bracket is the perfect tool to protect and guide your hose. It allows hose to be safely guided around corners and is recommended for use with all wall mounted reels. 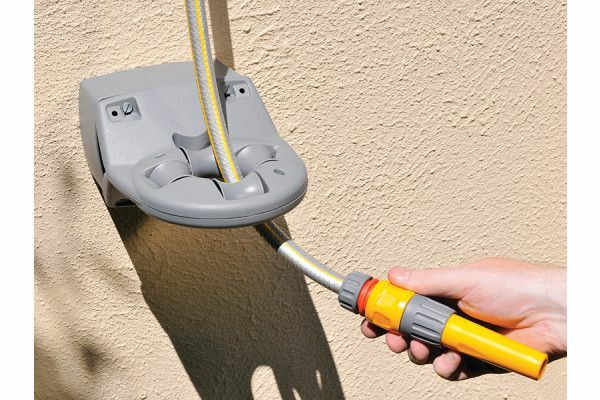 If you have a wall mounted garden hose reel, this is a must have garden essential! Minimises the risk of tripping hazards by tidying hose cables or by being used to suspend hose. 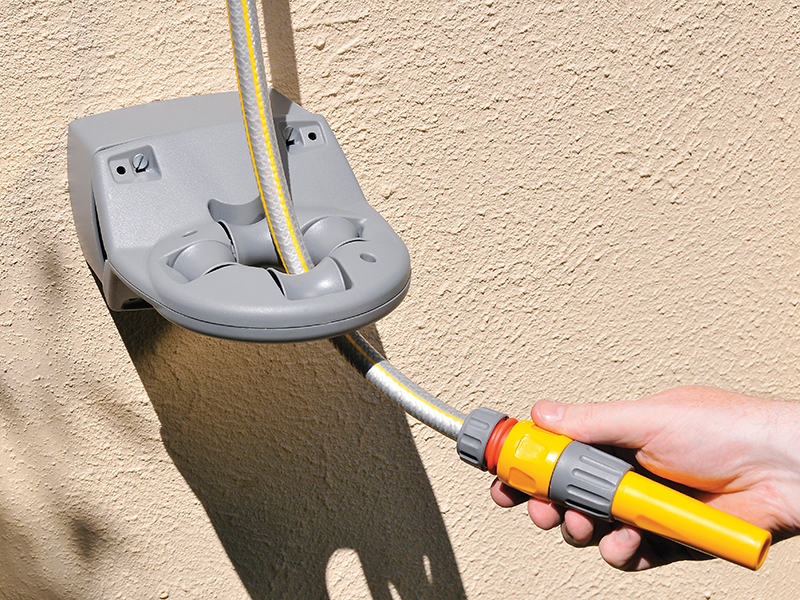 It is the ideal companion for all wall mounted garden hose reels and is compatible with most hose brands and lengths. It prevents hose kinking and tangling ensuring the life of your hose. 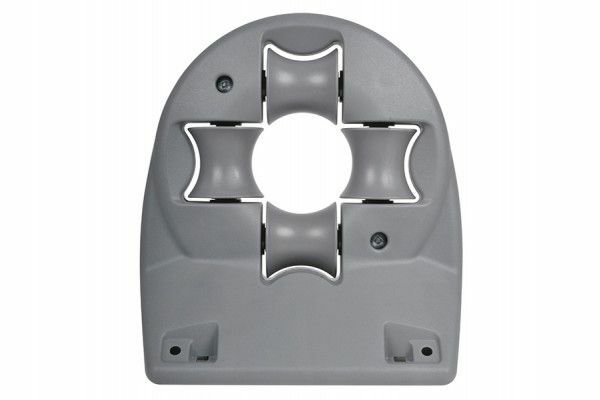 Made from the highest quality plastics, this durable Universal Hose Reel Guide and Corner Bracket will stand the hard wearing challenge of many gardening tasks and comes with a 1 year warranty. 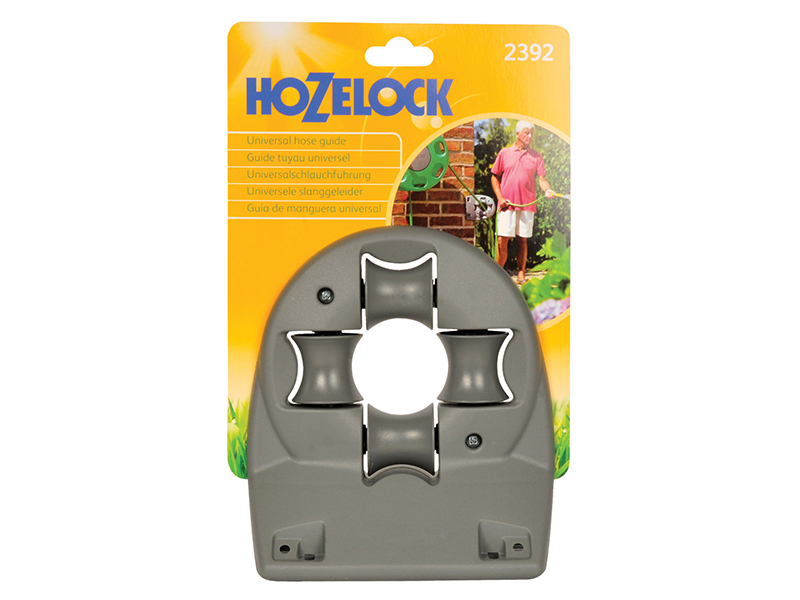 Designed and made in Great Britain, the Hozelock Universal Hose Reel Guide and Corner Bracket extends Hozelock’s heritage of quality, innovative products that are designed for gardeners by gardeners. 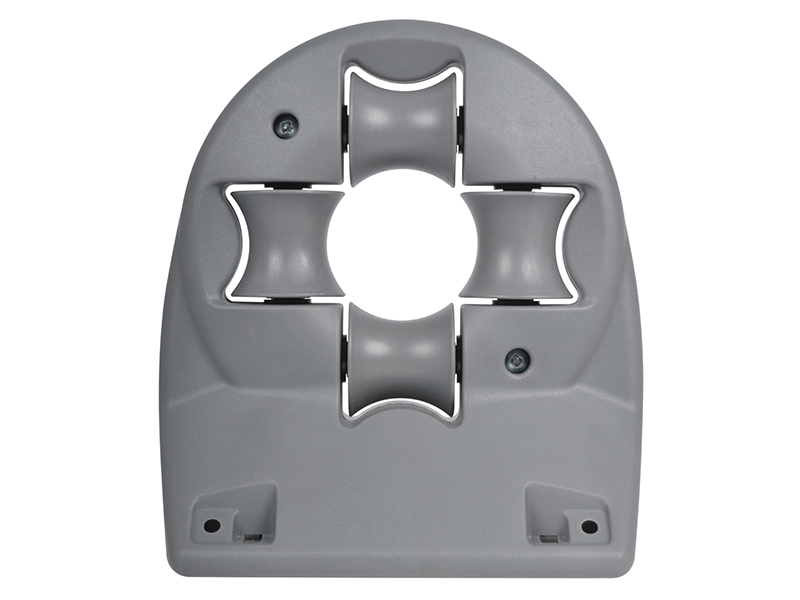 Size (HxWxD): 280 x 178 x 111mm.